In 2008 Steven Rochen wrote a piece for solo violin or viola based on the irrational number, Pi. The music has been performed on serious recitals as well as in mathematics symposia and conferences and has been featured in festivals surrounding Pi Day, March 14th. Performances of A Piece of Pi have been mentioned in articles published worldwide by Agence France-Presse and other media services. Dedicated to the mathematics teachers at Trinity School in New York City, the first performance took place on Pi Day, March 14th, 2008. 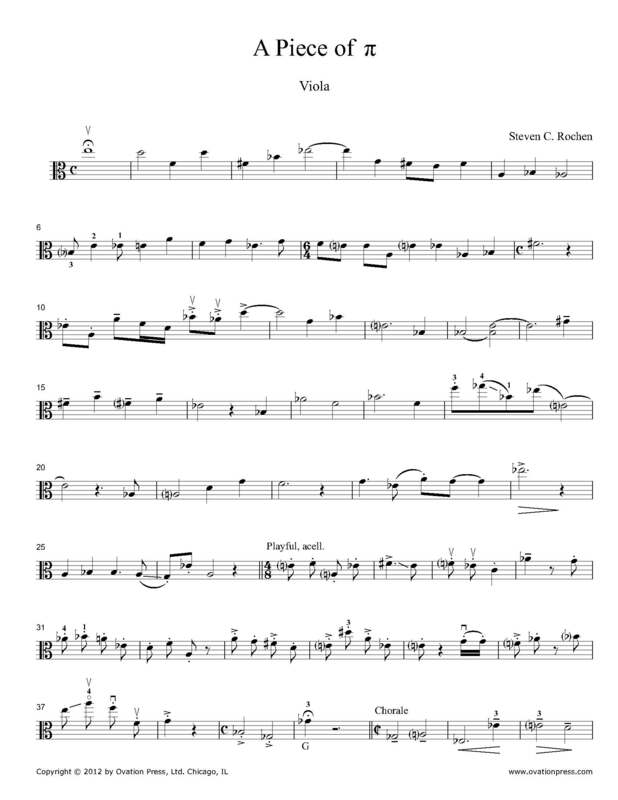 Click below to listen to a performance of A Piece of Pi composed by Steven Rochen.